Do your employees know the telltale signs of a bogus ID? The P.L.E.A.S.E. 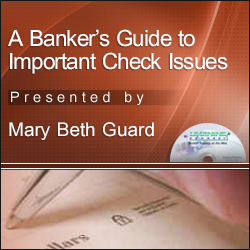 System Reminder Card conditions frontline personnel to quickly review IDs in a manner that efficiently checks all items that are subject to alteration and/ or forgery. 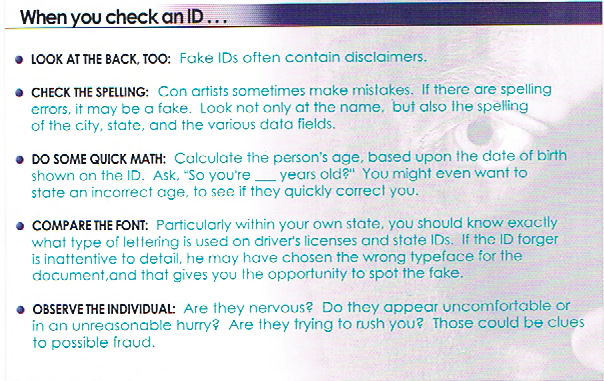 The handy tool is the size of a postcard and features a full color explanation of each component of the PLEASE system, and also contains useful tips to aid in detecting fake IDs. The P.L.E.A.S.E. System Reminder Card can be placed in a convenient location so one glance is all it takes to remind your employee of the important areas to review. Make using a P.L.E.A.S.E. System Reminder Card part of your identity verification procedures. Order them to give to your business customers for their use.